We Organise full packages for our clients. 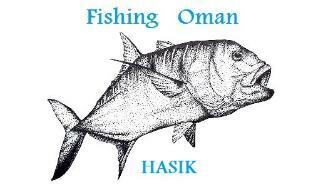 Airport Pick up service (Salalah airport), drive 200 km to a small fishing village called Hasik. Our charters fish around the Hallaniyat islands, which are considered one of the hot spots for many species of fish, also the GT. Record sizes and weights can be caught. We have a very nice lodge, which can accommodate upto 6 people (2 people in each room), they have their own bathrooms, satellite tv, a big living room and a beautiful sitting area in the garden between the tropical trees. Internet and Laundry service is complimentary. We also have a professional cook that specializes in international and local dishes. 3 meals a day, drinks and snacks are provided. We have 2 boats and the third one is on the way. They have the latest gadgets and our captains are experts in their field. So in short, bring your gear and clothes and leave the rest of your adventure on us. No need to worry about anything. Prices depend on package type, number of days fishing and number of guests per group.